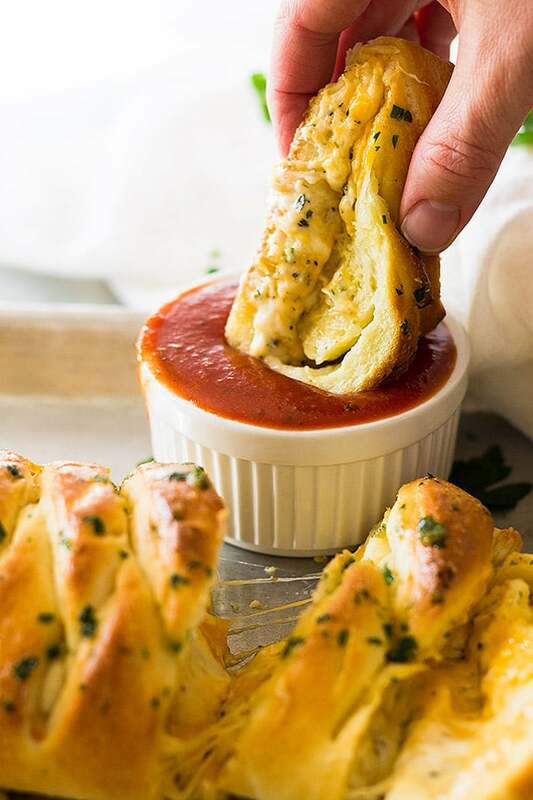 This Three Cheese Braid is filled with three ooey, gooey cheeses all baked in a homemade pizza dough. Then brushed with melted butter and garlic. You guys, I can almost make a meal out of this three cheese braid!! I am just warning you because it is super addicting!! All that melty cheese wrapped up in my homemade pizza dough then brushed with melted butter, garlic and parsley. It’s to die for!!! I have made variations of this throughout the years but I like this one the best. I like the cheddar in this mix because it just gives it a little something. It’s a little like the homemade three cheese pizza because I am using the same trio of cheeses but different because the cheese bakes up gooier. It’s like a perfect package of melted cheesey goodness! Then dip it into some homemade pizza sauce (so quick and easy!) 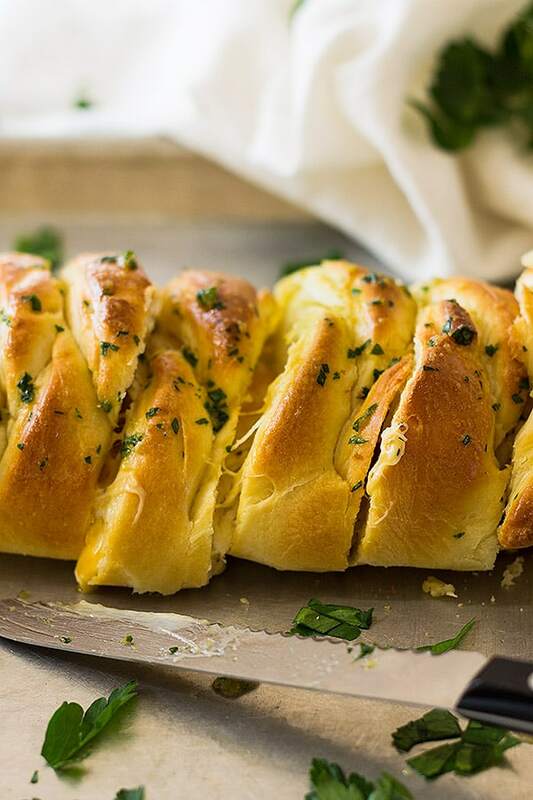 and I promise you will want to make a meal out of this three cheese braid too! I do realize there were a lot of homemade’s in those last sentences but don’t let that scare you. 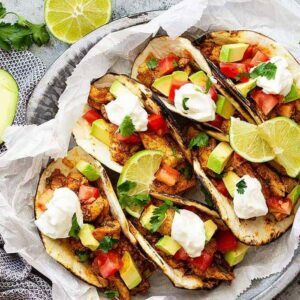 If you check out those other posts I have a lot of instructions for making them ahead by either keeping it in the refrigerator or freezer. And the pizza sauce only takes 10 minutes to make. 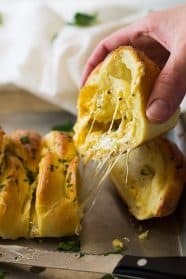 This three cheese braid can also be baked in advance then kept in the refrigerator for up to 3 days or frozen for up to 2 months. 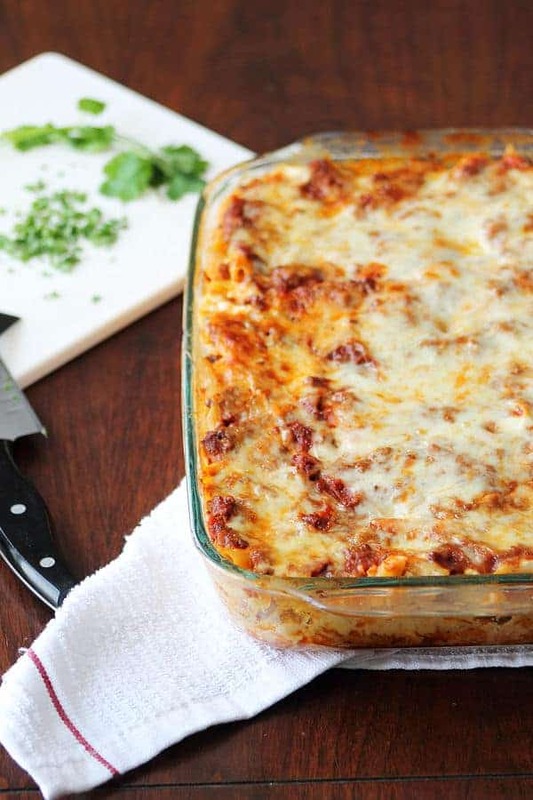 If you freeze it just place it in the refrigerator overnight to thaw then briefly warm it in the oven to get the cheese all ooey gooey again. This method isn’t as good as eating it freshly baked but it is still really good and can help save some time which is never a bad thing. 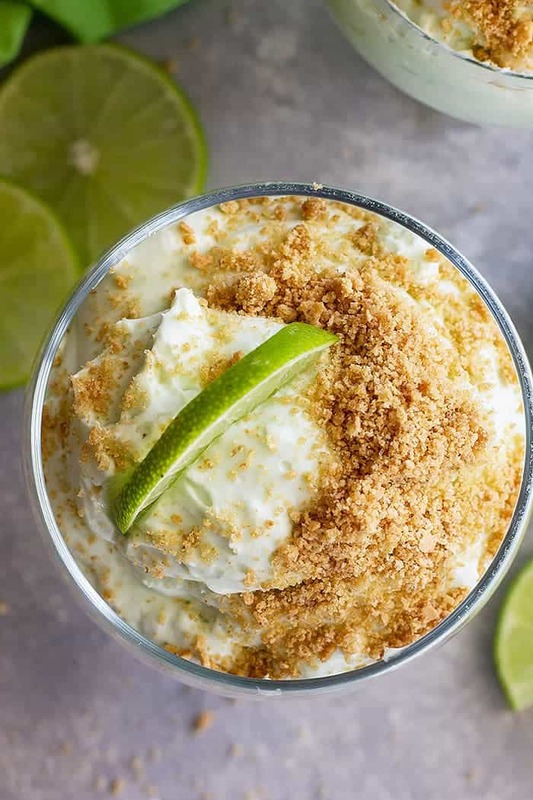 My best recommendation for making this ahead and getting it as fresh as possible would be to make the dough and refrigerate it or freeze it as stated in the dough instructions. 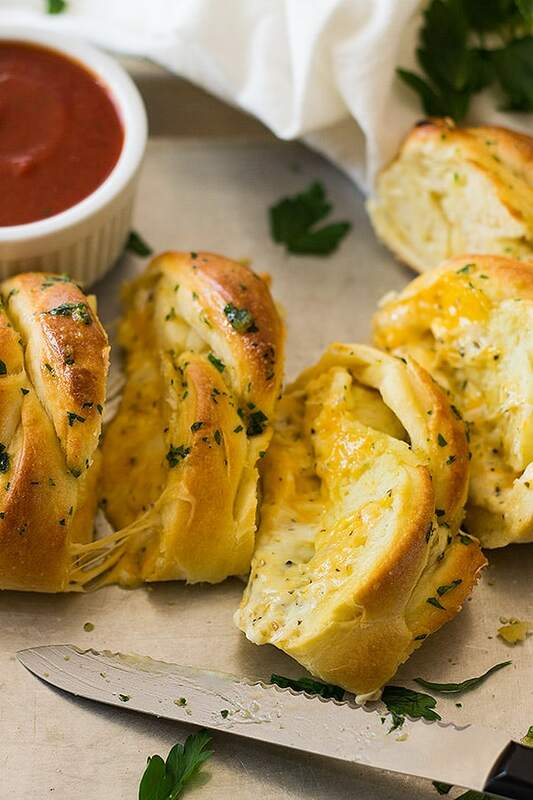 This way you can speed things up a little but still have a freshly baked three cheese braid. Also, if you aren’t sure how to braid the dough I have a couple of pictures and a video clip below the recipe that may help and give you a visual. Remember things don’t have to look perfect to taste good!! I like the rustic appearance of things better anyways! 🙂 Hope you enjoy, friends!! Prepare dough through step 3. Then punch the dough down and place on a lightly floured or oiled work surface. Roll into a 15x11 inch rectangle. Place on a lightly greased large baking sheet. In a medium sized bowl combine the cheeses, mayonnaise, garlic, basil and oregano. Spoon filling down the center of the rectangle leaving room on the ends to fold up. With a sharp knife cut 1 inch strips down each side of the filling. 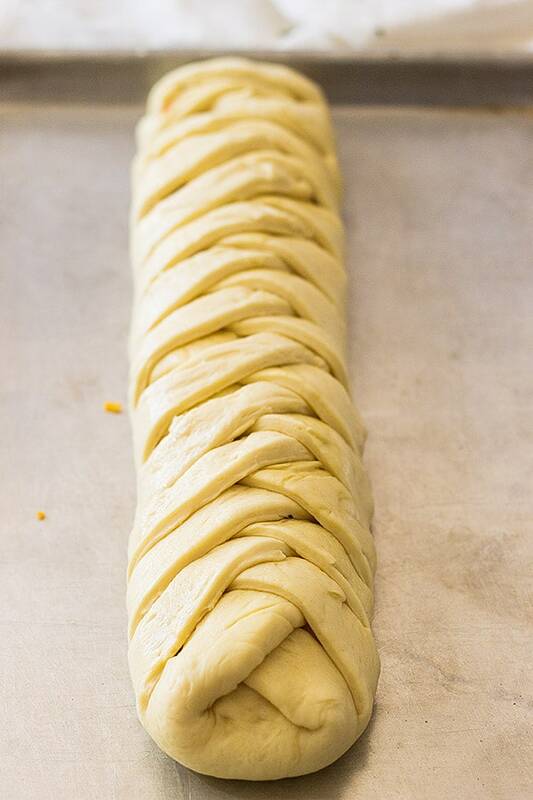 Then fold each end over the filling before "braiding". To braid take one strip and cross it over the filling then take a strip from the other side and cross it over the filling. (there are a couple of photos and a clip you can watch for a visual below the recipe) Preheat oven to 425 degrees F and set braid aside to rest for 5-10 minutes before baking. Bake for 15-20 minutes or until golden brown. In a small bowl combine the topping ingredients and brush across the top of the braid. Allow the braid to cool for 5 minutes after baking before slicing it. I like to serve this with homemade pizza sauce. 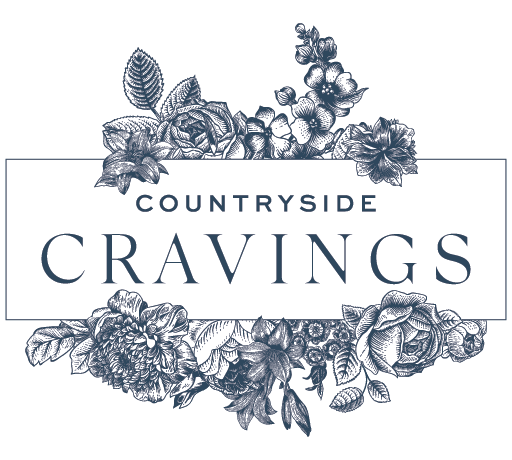 Recipes for the pizza crust and pizza sauce can both be found on the Countryside Cravings website. TO MAKE AHEAD: Bake according to directions then let cool completely. Wrap tightly in plastic wrap then store in the refrigerator for up to 3 days. Or wrap in plastic wrap and foil and freeze for up to 2 months. To serve: let thaw in the refrigerator overnight then warm it back up in the oven to remelt the cheese inside. ANOTHER MAKE AHEAD METHOD: Follow refrigerating or freezing instructions for the dough on the homemade pizza dough recipe. 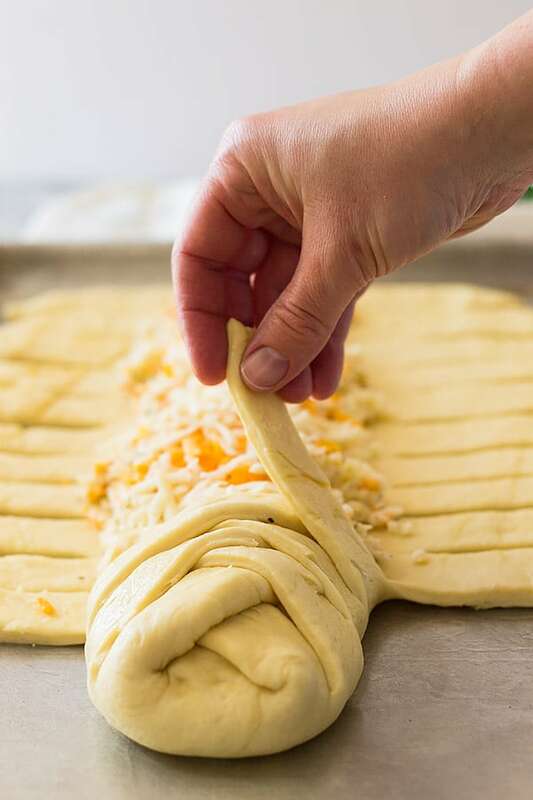 Then allow dough to come to room temperature before proceeding with three cheese braid instructions. This is the link for a video on braiding. Amazing! Sounds like a dream that could become true this Saturday evening, for example! Thanks for the recipe! 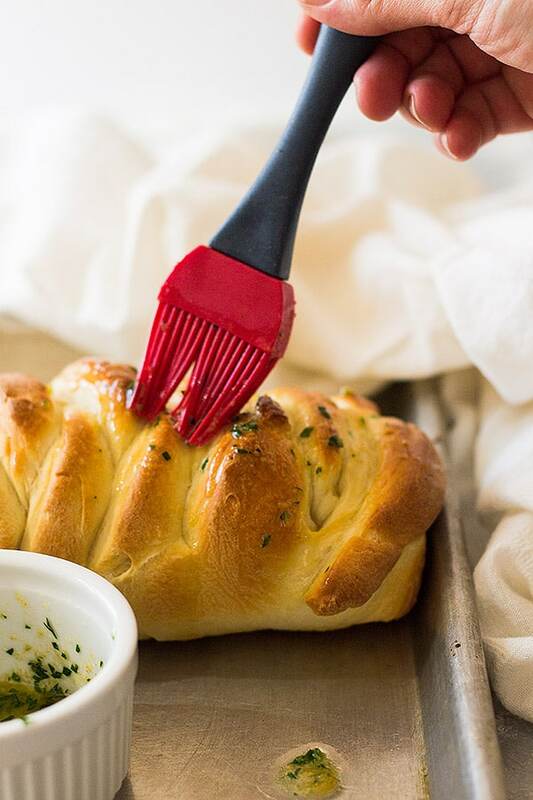 The ‘make-ahead step’ save it for later sounds good, but from the looks of this braided cheese bread….it’s going to get eaten right-away! LOL! If I can be alone while I’m making it I have a good chance of saving it for later. Hubby has a fabulous sense of smell and something tells me he’ll be hanging around the kitchen on this cooking day. ? Thanks for sharing Malinda! Glad you liked the tip and I will say it is hard not to eat it all!! Thanks, Dalila!